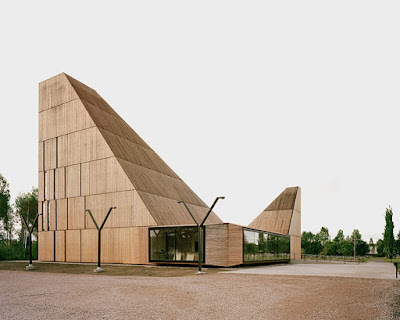 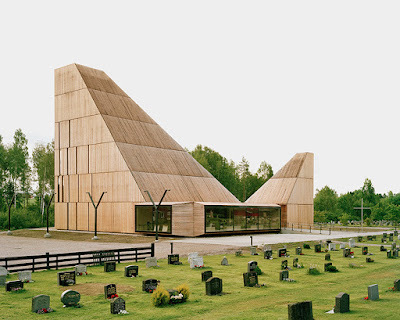 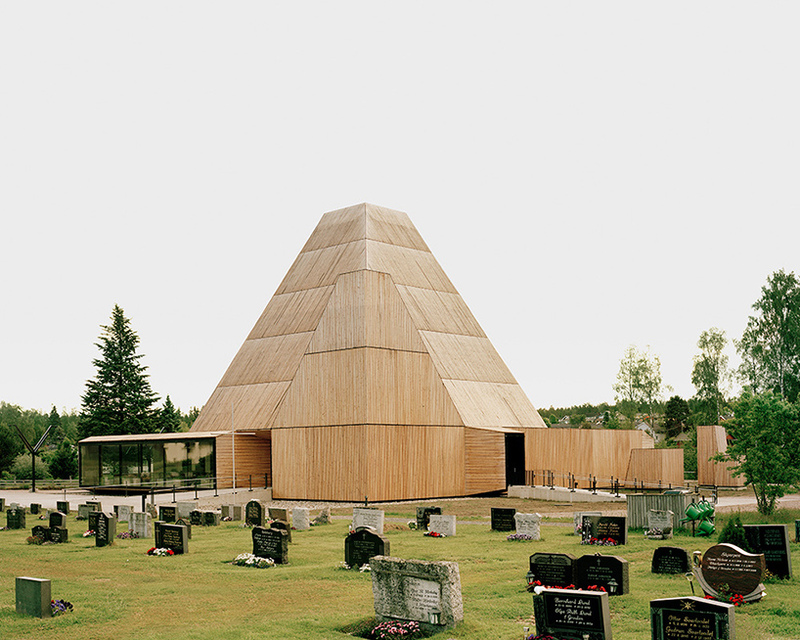 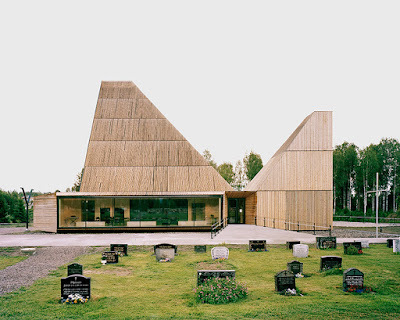 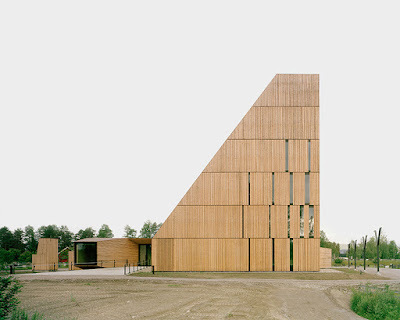 A new contemporary church design in Hedmark, Norway. 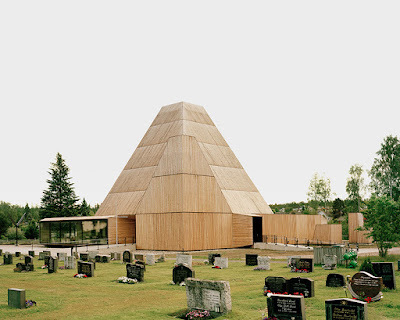 The building replaces the community’s original church that burned down in 2009, and recalls the form and the scale of the former structure. 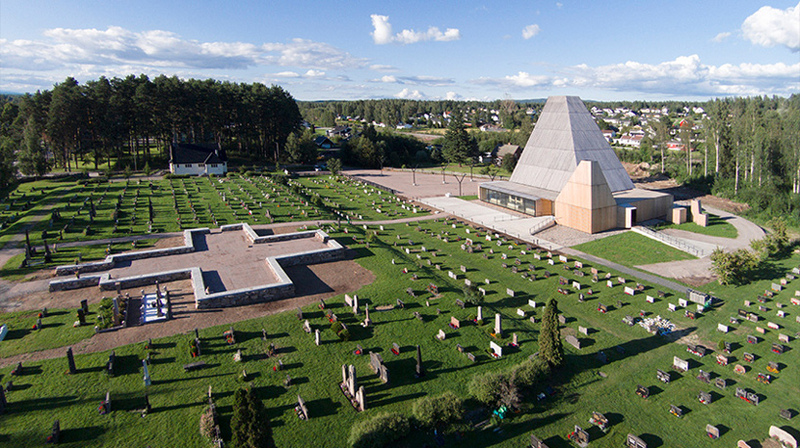 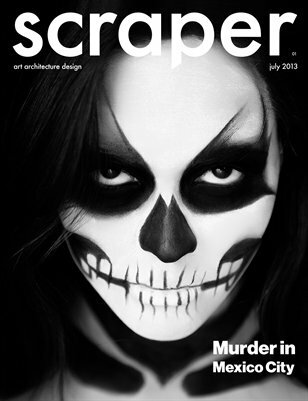 The scheme also includes an expanded cemetery and an outdoor memorial grove. 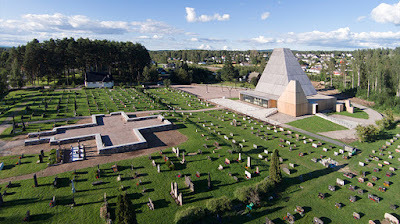 The entrance is sited directly in line with the old church, forming an extension of the former nave. 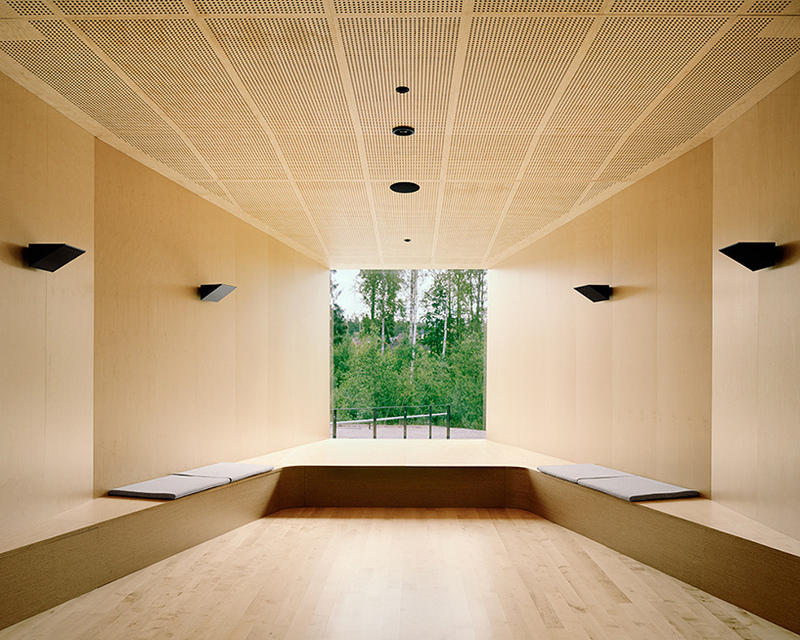 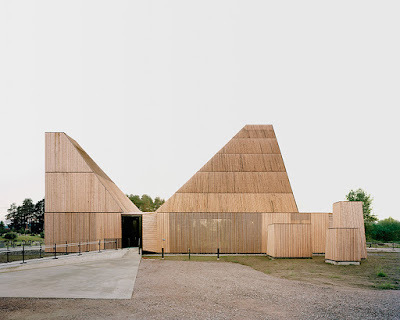 Made entirely from locally sourced pine and birch — trees native to the surrounding forests — the scheme comprises two timber towers that mark the main liturgical spaces, the church hall and the baptistery. The two volumes rise from a shared cast concrete plinth, designed to symbolize the ‘bedrock’ of the church.